One of the most enthralling poets on the scene, Deanna makes a much welcomed return to Writer’s Block this month. A UK poetry slam champion, poetry workshop student turned facilitator and powerhouse performer, Deanna is a weighted force. Comprehensively put: “Her poems take listeners on a journey, much of the time, they don’t realise that they are on; meaning is disguised through specific words used, semantic fields and imagery- so listen carefully. She speaks HER truth no one else’s”. 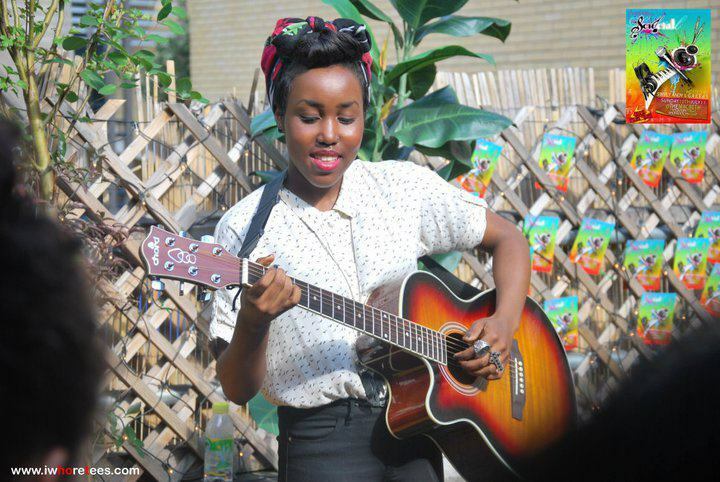 Ellie first pricked our ears on SBTV.co.uk ‘s A64 series with her gorgeous acoustic rendition of quick-witted tune, ‘Why?’. An independent Folk-Pop Singer Songwriter, Ellie released her debut album exclusively with Barnes and Noble bookshops in the USA after an appearance and stamp of approval on the Ellen DeGeneres show. Ellie’s recent projects include a Dance album and a new acoustic EP ‘Lost Without You’. In the history of popular music, the most successful twosomes have been those who have said what the people were feeling and said it in the loudest voice. Wanting to add themselves to the list of outspoken greats is Mr.DisFit. Mixing gospel-tinged vocals, chunky guitars and an introspective lyrical content this twosome have concocted a definitive debut effort that promises to leave listeners rocking to the rhythms of their recklessness. With their forthcoming release ‘The Line’ set for a mid-2012 release, Mr.DisFit intend to cement their position amongst the leaders of a new generation of self-sufficient artists, writing, producing and composing their own material, and doing so at their own pace. 19-year-old singer and self taught guitarist Ego-Ella May, has already been tipped by Soul legend Omar as one to watch and we can see why. Her distinct vocals and atmospheric production caused much excitement when her songs landed in our inbox. 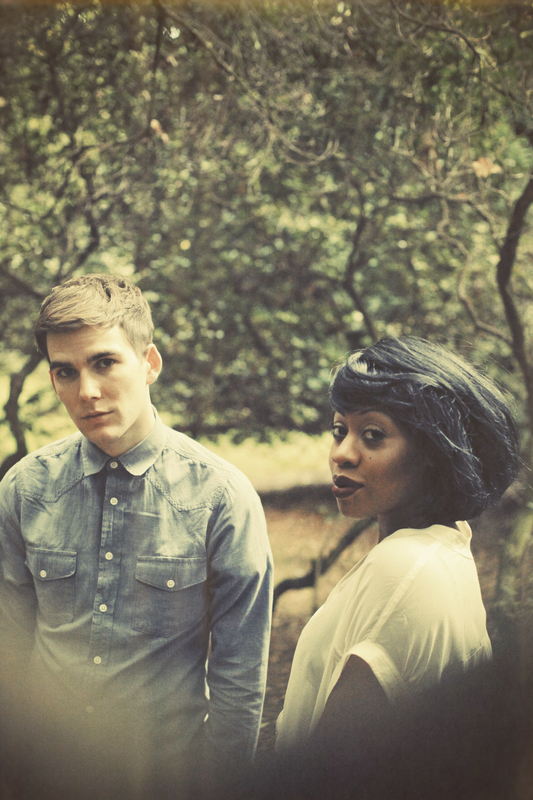 Citing neo-soul and jazz as musical influences, Ego-Ella boasts a rich, mature sound coupled with playful experimentalism. An exciting new musician hailing from South East London, Brit School Alumni Paul has a keen ear for music and velvety vocals likely to leave you transfixed. Unabashedly conveying vulnerability, with classic melodies paying homage to the great soul singers of times past, Paul offers a smooth, tender touch to the Writer’s Block show. 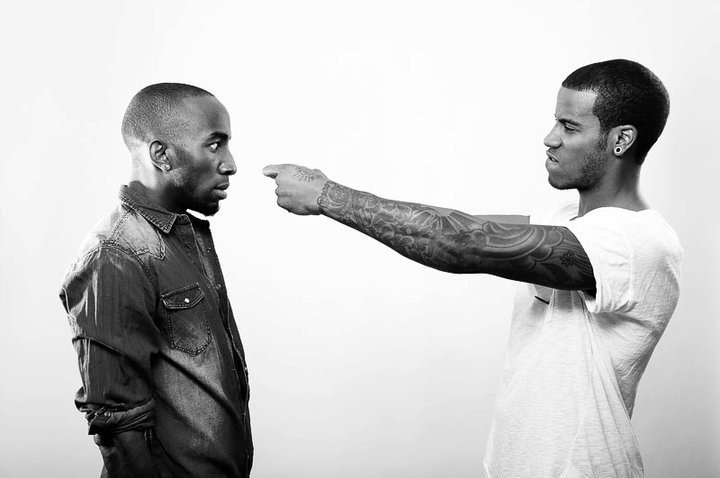 Favour was initiated into music artistry as one-half of the formidable grime duo, Surrender. 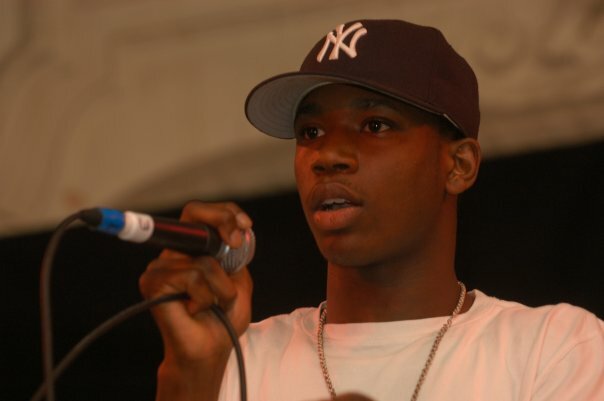 Since going it alone, this North Londoner is often heralded for his hard-hitting delivery and conscious rhymes. 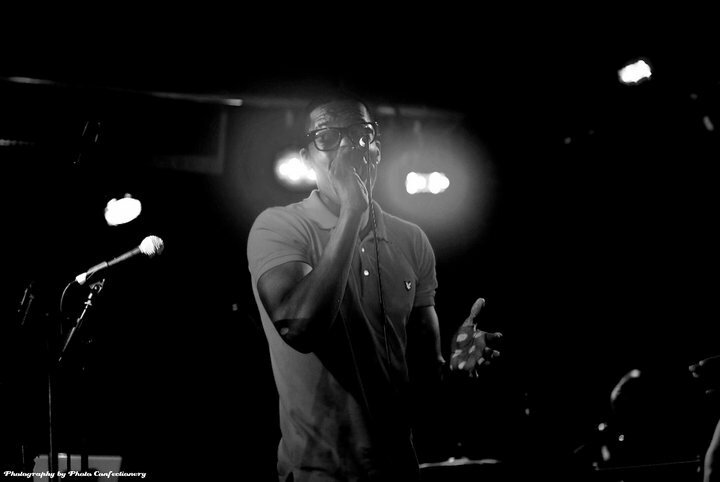 Priding himself on his lyrical integrity, Favour was a standout performer when we recently witnessed his live show. We like, and hope you will too. ► Short Film screening from Filmmaker Yemi Bamiro and poetry video screening from Dean Atta.
.:: £5 before 8.30pm, £7 thereafter. Artists have individual guest lists, or pay on the door::. 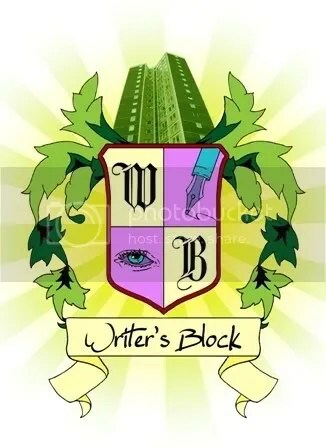 04.12.11- Writer’s Block Tipped For Oh12 Show. Oh hello, us again! Another spanking instalment of Writer’s Block, the last of the year, no less. In the spirit of renewal, there’ll be a lot of newness in the advent of 2012. 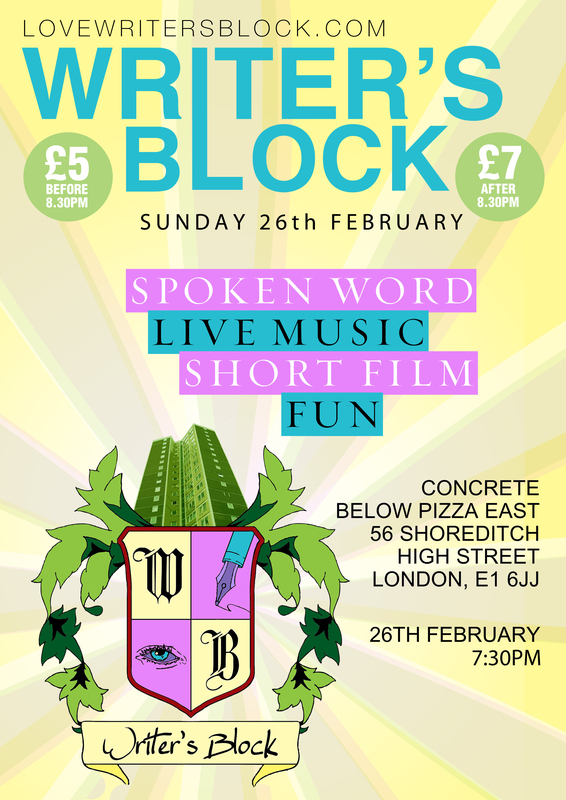 New venue- Concrete, 56 Shoreditch High Street, and we’ve hand picked a fair few Writer’s Block virgins who we tip to take their art to great heights next year and beyond. As always, come one, come all. Big love. Big cake slices. 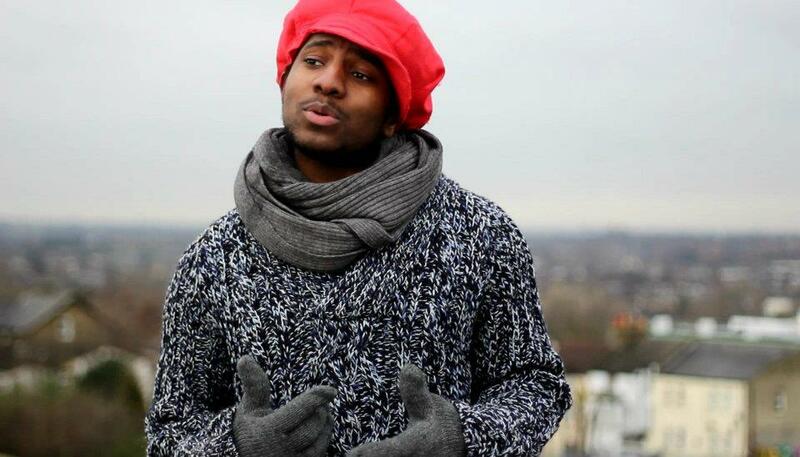 20 year old Kaleem, has a refined, rich vocal tone that definitely precedes his years. Already pricking the ears of BBC Radio 1, 1Xtra et al with his smooth soul, we’re privileged to have Kaleem at the tipping point of wonderment. 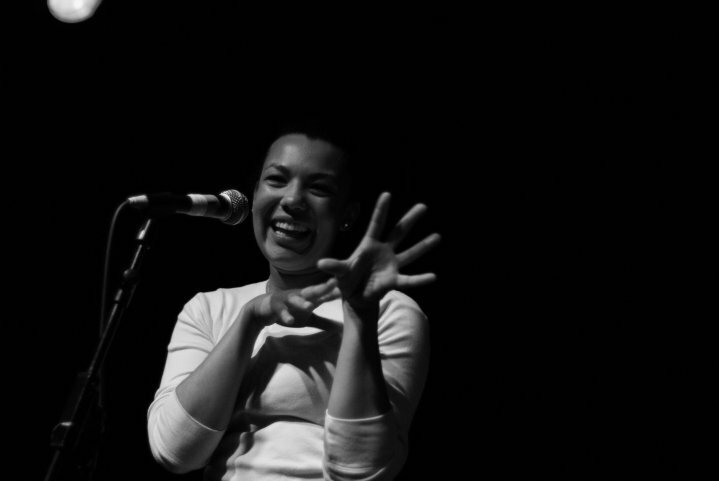 Bold, brassy Brumie beauty Jodi brings warmth and familiarity to spoken word like no other. A certified Roundhouse poetry slam champion, she breathes fun and witty lyricism to verses and will be a welcomed addition to the bill. The vocal equivalent of hot chocolate, with cream and extra marshmallow. December 4th 2011 marks Wilson’s Writers Block debut and with the release of a new E.P set for early 2012, it won’t be long till he’s in astronomical demand. Brand new to Writer’s Block and soon to be eternally impressioned on your heart. Debbie does smooth R&B/Pop, and we can’t get enough. Delectably blending poetry and comedy is Imhotep’s forte. Having performed at Writer’s Block during our wee infancy, it’s about time we welcomed back this young man, who’s continued to establish himself as one of the Capital’s most innovative wordicians. ► Cake cake cake cake! Courtesy of our hostess come Nigella, Miss Tracey D.
.:: £5. Artists have individual guest lists, or pay on the door::. Our lovely show host Tracey Duodu, is one half of dynamite duo 14th. Herself and band mate/ certified hottie Tom Barber been honing their craft for a few years now, putting on enthralling shows across London and producing songs that are as stunning as they are haunting. Natural bias aside, what sets apart 14th is their hands on approach. Songwriting, composition, production and even video editing is done themselves and unlike the spawn of self-propelled YouTube stars, 14th are anything but amateur. They’re currently unsigned, but it won’t be long till they’re rightfully scooped up. Sunday saw a fantatstic Writer’s Block live show featuring a lovely array of talents. One of which was London based actress come songstress Cynthia Erivo. Listen and download her rendition of Frank Ocean’s ‘American Wedding’, recorded live at Writer’s Block. 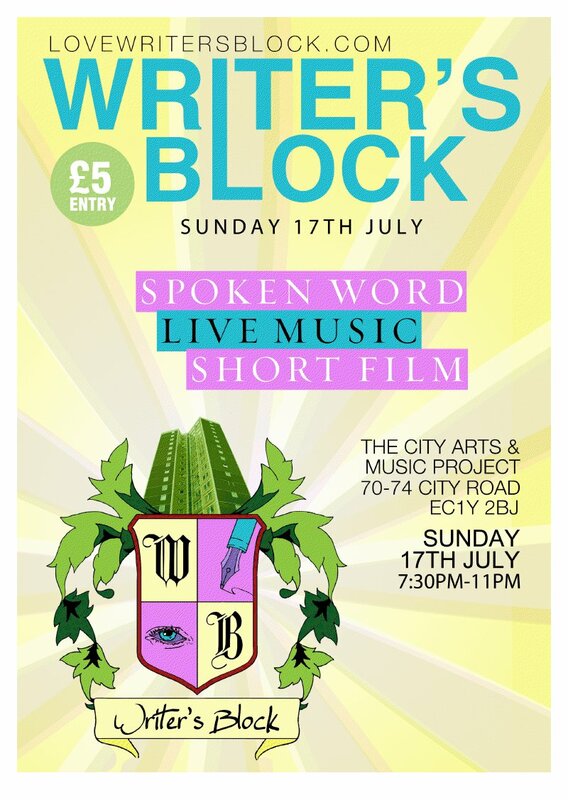 Summer’s here (in theory at least) and as are we, with another line up of sizzling live music, spoken word and short films from some of London’s finest. Tanya recently released a new EP ‘Origami’ to phenomenal reviews. Rewind 12 months and her debut solo release, EP ‘Thrum’, came out to rave reviews internationally. An excitement for music made from ‘minimal means’ has given rise to Tanya’s distinctive sound and compelling one-woman-band show. She builds her songs live, sampling her voice with a loop pedal, playing ukulele, guitar and percussion. The multi-instrumentalist has worked with the likes of Matthew Herbert’s Big Band Ensemble, Andreya Triana, Laura J Martin and Aristazabel Hawkes. There’s no denying that there’s been a real sense of collective support and palpable excitement around lyricist AKS in the lead up and post the release of his lyrically rich Bus Stop E.P. A well orchestrated body of music, The E.P’s title track,’Bus Stop’, for us at least, is one of the most raw and relatable UK rap tracks to do the rounds in recent years. 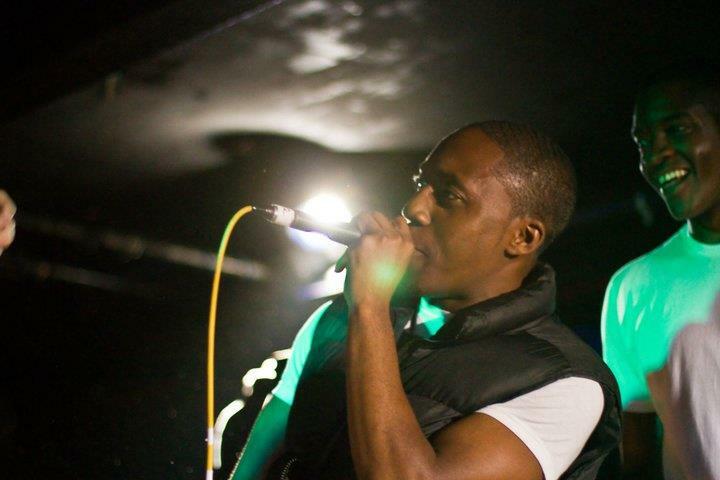 AKS is the guy next door and his visceral rhymes and resonating hunger are testimony to every man’s internal struggle. We’re recent converts and hope you will be too, if not already fully on board. The show will feature THSC’s spoken word artists who will be joined onstage by the infamous THSC live musicians, undiscovered young talent & special guests all performing a medley of songs inspired by scenes/poems from famous Shakespeare plays. This group recently blew us away with their SBTV outdoor live session of their original composition ‘Champion’. We watched in utter awe as this seven piece band, fronted by rapper Clement Marfo, with gutsy vocals from Kojo Virham, delivered a fiery, self assured and highly engaging performance. The band uniquely blend punchy rhymes with a live band set up that playfully skims across genres and results in music brimming with passion, energy yet with mastery of musicality that precedes their years. Cynthia Erivo is without a doubt a phenomenally talented singer. Her powerhouse vocals coupled with her impressive RADA training has meant that the actress/singer will be playing the lead role of Deloris Van Cartier in the UK theatre tour of Sister Act. We first came across Cynthia when she belted an impromptu rendition of ‘His Eyes are on the Sparrow’, absolutely wowing the crowd of a West London restaurant (really). After recently opening for American Idol Fantasia Barrino a the IndigO2, London, Cynthia has been busying herself recording, providing backing vocals for fresh R& B talent Mike Hough, while perfectly honing her craft(s). She’ll be a delightful addition to the Writer’s block bill. ► Cake! A splendid array, courtesy of our host Miss Tracey D.